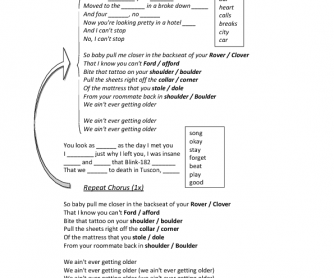 A listening worksheet of the song Closer by The Chainsmokers. 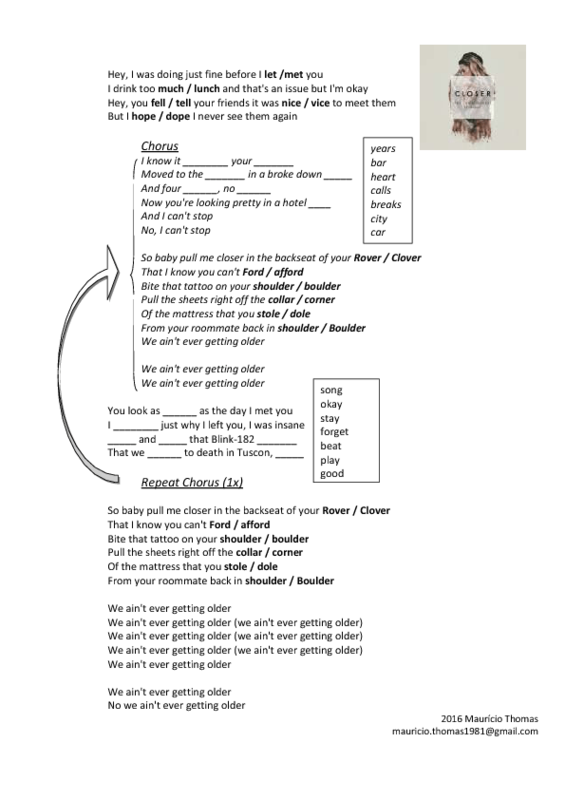 That's not my kind of music but a student of mine showed it to me and I decided to create an worksheet of this song. It's quite simple but I think enjoyable. 2 kinds of exercises. First you pick the right word out of 2 options, and in the second one, you complete the lines with the right word from the box.